This book is a courageous gift ... No Christian leader can answer the call of ministry today and not be informed about this issue. As many as one in four girls and one in six boys experience sexual abuse during childhood, and it’s estimated that half of the incidents are never reported. Countless millions, both children and adults, carry this complex, often hidden pain. What does the path to healing look like for survivors? And how can ministry leaders, pastors, and counsellors best help them as they walk this difficult road? 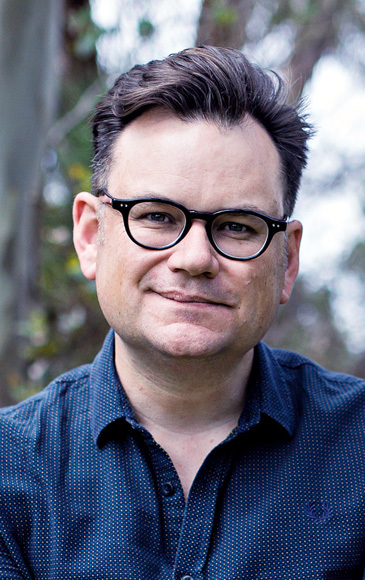 Drawing on both his own and his wife’s experience as survivors of childhood sexual abuse, minister and lecturer Tim Hein offers his expertise, practical guidance, and empathy. Both for those who have suffered sexual abuse and those in a position to help them, this book is a rich resource filled with sober truths and the hope of Christ, calling survivors to take courage and walk unafraid down the road of healing. “‘This book is a courageous gift,’ writes Debra Hirsch in the Foreword to Tim Hein’s powerful book, ‘Understanding Sexual Abuse’. A courageous gift indeed; one of those books that the reader will feel privileged to have read and learnt from. 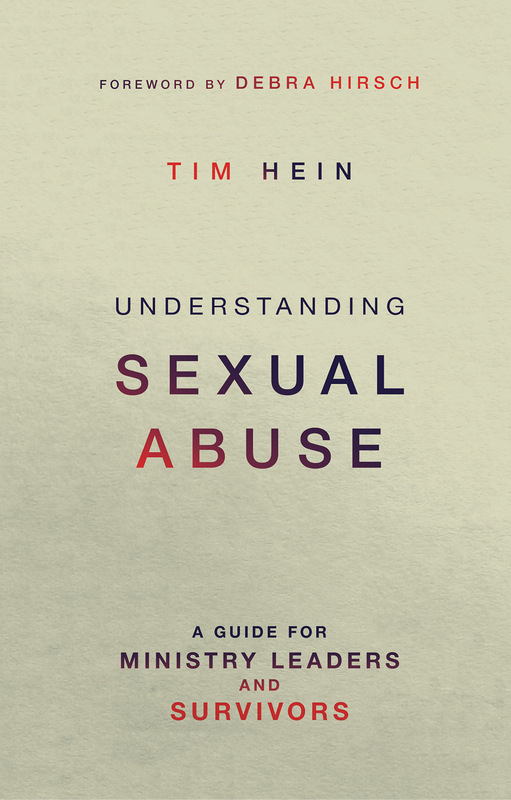 Drawing on his own expertise as a church minster and the personal experience of his wife’s and his own stories as survivors of childhood sexual abuse, Hein offers this deeply insightful, practical, pastoral and empathetic guide to ministry leaders and survivors of sexual abuse. Unreservedly drawing attention to the fact that the church has often failed those who have shared the suffering they have experienced, Hein constructively opens up both the complex psychological and spiritual aspects of sexual abuse and he guides those in ministry, who may be trusted with the courageous stories of survivors, as to how best walk alongside; ‘Listen, believe and acknowledge. Remember, this may be the single bravest moment of the person’s life so far.’ ‘The posture of the Christian leader is one of…a sojourner,’ willing to wrestle with the deep questions of ‘Why God’ along with the intentionality to create space within our churches for truth that ‘gives voice to the deepest experiences of humanity.’ The careful reading of this wisdom filled book will inform, guide and counsel those who sojourn alongside those walking the difficult road towards recovery. It will help you think before you speak, wrestle with the uncomfortable questions of suffering, prepare you to enter the trauma of childhood’s stolen and it will point you to Jesus, the one so familiar with trauma and who leaves no one alone in their pain. “When Jesus taught, whether in the synagogue, the market place, or on a mountainside, the gospel writers record that people were amazed at his teaching, ‘because he taught as one who had authority, and not as their teachers of the law’. Reading Understanding Sexual Abuse, I sense something very similar. Tim Hein writes as someone who has authority: the authority that comes from walking the long, hard road of trauma, survival and recovery. Tim manages to draw on his own and his wife Priscilla’s experiences with openness, sensitivity and compassion, but without sentimentality or angst, and in a way that informs and empowers the reader. As a professional working in the field of child protection, I have discovered fresh insights into the nature and impact of child abuse. Tim writes with deep understanding, backed up by relevant and meaningful research. As a spiritual director, I have found myself encouraged and equipped to stand alongside those who have suffered or may be suffering from abuse. As someone who has seen first-hand the dreadful reality of child abuse, I believe that this book offers hope for many who walk that road. One of the greatest needs we all have – whatever the traumas we have faced – is for safe, sacred space within which we can discover the love and hope of the one who comes to give us life. This book provides just that. Dr Peter Sidebotham, Paediatrician, Spiritual Director and co-editor, Child Abuse Review.